There’s no such thing as perfect. There is, however, a payoff in persistence. 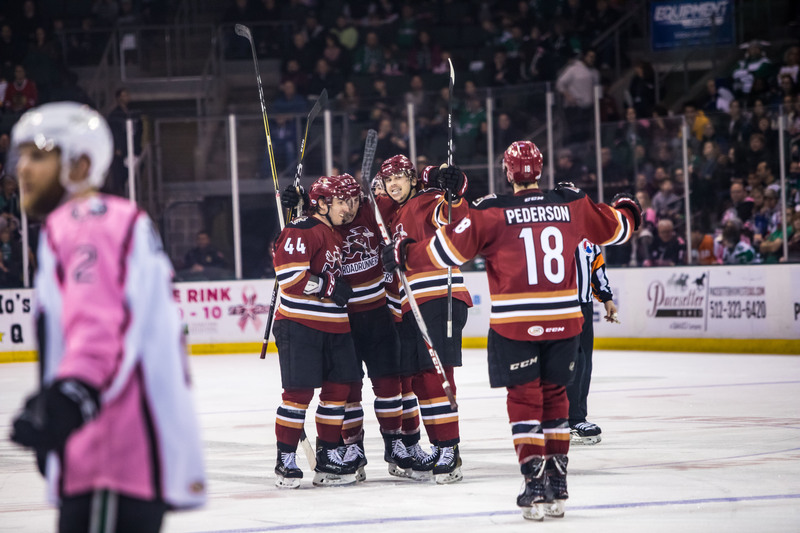 The Roadrunners posted a 3-0-0-0 record during the week, pocketing six standings points while stringing together a crucial set of victories in the thick of their longest road trip of the season. Monday night in San Jose, the team saw a three-goal lead vanish, only to persevere in a seven-round shootout – Lane Pederson burying the game-deciding goal. It was the Roadrunners’ first shootout victory of the campaign. In seeing the Texas Stars for the first time this season Friday night at the H-E-B Center, the Roadrunners skated away with a 5-2 victory – highlighted by Laurent Dauphin’s two power play goals in a :49 span in the second period. Hunter Miska won his 15th game in stopping 16 of 18 shots faced, tying him for the most wins among rookie goaltenders in the American Hockey League. Prior to Saturday night’s rematch with the Stars, the Roadrunners were 2-11-1-0 in games when trailing after two periods of play. 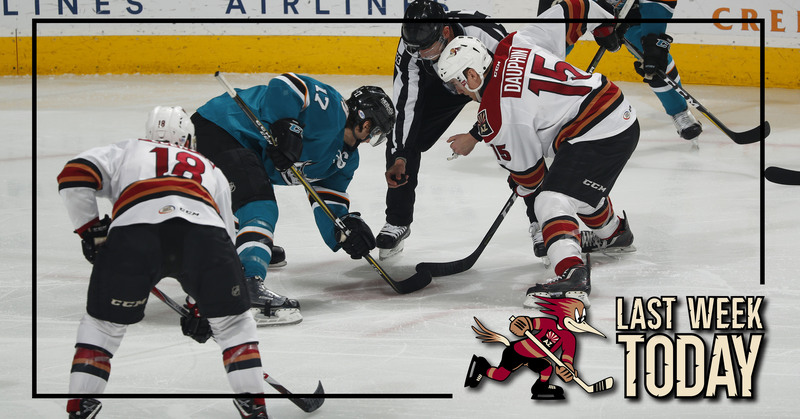 Down 1-0 entering the third period, Dylan Strome snapped a nine-game goalless drought to tie the game with 11:24 left to play in regulation. Mike Sislo ended the affair :50 into overtime, lining up a Kyle Capobianco pass from the left circle and beating Mike McKenna with a shot high to the glove side. As of late, they've been getting it done late. Five of the Roadrunners' last nine games have extended past regulation, and they've won each of them. They're 7-2 in overtime this season; 1-1 in shootouts. The team is 4-1-0-0 on its current season-long six-game road trip. Brendan Perlini registered his seventh assist of the season Thursday night, feeding Clayton Keller from just inside the blue-line before the rookie wristed the game-winning goal past Devan Dubnyk to secure a 4-3 overtime win over the Minnesota Wild at the Xcel Energy Center. In the early stages of the second period Monday night at the SAP Center, Michael Bunting drives to the back-door after finding Tyler Gaudet with a pass. Gaudet returns the favor, and Bunting taps home his 13th goal of the season to open the scoring in the Roadrunenrs’ eventual 4-3 shootout victory.